This is a great day for all involved in the fight against heart disease. We are now one giant step closer to SHAPE’s mission of eradicating heart attacks in the 21st century. HOUSTON, TX October 5, 2016 – SHAPE, The Society for Heart Attack Prevention and Eradication (www.shapesociety.org), a nonprofit grassroots organization dedicated to the mission of eradicating heart attacks, today released a statement cheering Dr. Calum MacRae and his team at Brigham and Women’s Hospital in Boston for winning “One Brave Idea” competition held by American Heart Association, Google’s Life Science (Verily) and Astra-Zeneca. The winner is funded $75 Million for one brave idea that could lead to the development of a cure for coronary heart disease. 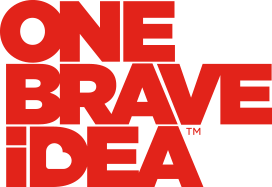 “One Brave Idea is an awesome initiative that will have a major impact on the timeline of ending coronary heart disease. It is a great role model for partnerships between for-profit companies and non-profit organizations working toward a noble cause such as eradicating coronary heart disease.” said Dr. Morteza Naghavi the Founder of SHAPE and Executive Chairman of the SHAPE Task Force. “We need to be reminded that unlike infectious diseases such smallpox, chickenpox, and others which are now eradicated, Coronary Heart Disease is a multi-factorial disease and requires a multi-disciplinary approach to eradication” added Dr. Naghavi. Coronary heart disease manifested by heart attacks is the late consequence of untreated coronary atherosclerosis. It is the number one killer of both men and women. Every day over 2000 healthy-looking individuals arrive at emergency rooms with a heart attack. Had they been tested by traditional risk assessment the day before, about 70% of them would have been misclassified as low to intermediate risk. The SHAPE Task Force aimed to overhaul the status quo by developing SHAPE Guidelines which call for noninvasive detection of hidden coronary atherosclerosis using coronary calcium scoring. The SHAPE Task Force, an international group of leading cardiovascular physicians and researchers, has created the SHAPE Guidelines, which educates physicians on how to identify asymptomatic atherosclerosis (hidden plaques) and implement proper therapies to prevent a future heart attack. According to the SHAPE Guidelines, men 45-75 and women 55-75 need to be tested for hidden plaques in coronary or carotid arteries. Individuals with high risk atherosclerosis (high plaque score) should be treated even if their cholesterol level is within statistical “normal range.” If they have plaques, the so-called normal is not normal for them. The higher the amount of plaque burden in the arteries the higher the risk and the more vulnerable to heart attack. SHAPE Guideline aims to identify the asymptomatic “Vulnerable Patient” and offer them intensive preventive therapy to prevent a future heart attack. Knowing one’s plaque score can be a matter of life and death.